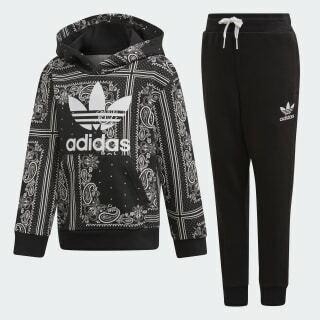 A two-piece set with a hoodie that's covered in paisley graphics. A classic sport look makes a fresh statement. This kids' two-piece set has all the comfort of a favourite sweatshirt and pants. 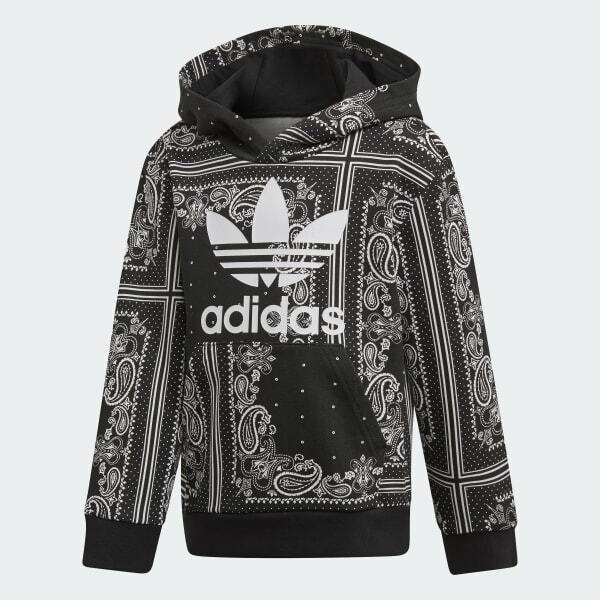 For eye-catching style, the hoodie is covered with a bandana-inspired print that contains tiny Trefoils. The outfit is made of heavyweight French terry for a soft, plush feel.